The Ukrainian authorities must fully ensure the right of internally displaced persons from temporarily uncontrolled regions of Donbas and occupied Crimea to take part in the elections, the European Pravda newspaper has reported. 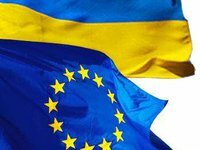 "The Congress rapporteurs call on the Ukrainian authorities to take the necessary legislative measures, in particular in view of the next local election in 2020, to make IDPs' participation in the electoral process a reality," the European Pravda website said on Thursday evening referring to the press service of the Congress of Local and Regional Authorities of the Council of Europe. It says that as a first concrete step, the Parliament of Ukraine should pass the draft Law No. 6240 in order "to remove the existing barriers for IDPs' full participation in elections, in line with international standards." "The long-awaited adoption of this draft law would simplify voter registration procedures and enable all Ukrainian citizens to register to vote at their actual place of residence," the European Pravda quoted one of the Congress rapporteurs. He also added that there is a need for better voter education and information for IDPs, ensuring quality voters' lists and providing training for electoral authorities.